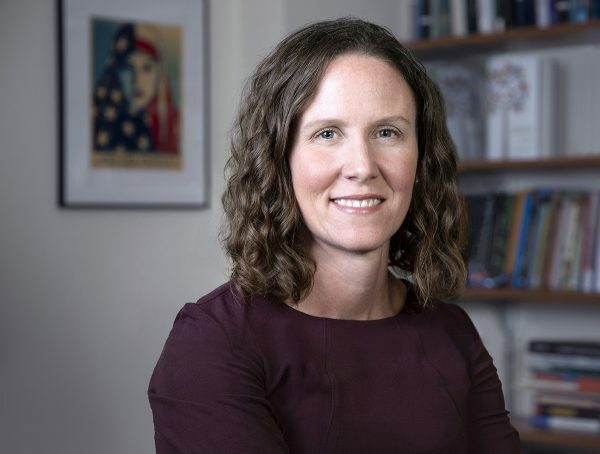 In her first book, religious studies scholar Justine Howe examines how Muslim families in suburban Chicago came together to create an “American Islam.” Photo by Mike Sands. In this interview, edited for length and clarity, Howe reflects on the results of her fieldwork in the Webb community. The members of the Webb Foundation belong to a segment of the American Muslim population that has rarely been studied. Most of them were born in the United States or came here as young children. Nearly all are upper-middle-class, university-educated professionals. Many have married outside their race, ethnicity or nationality, and quite a few are converts. Why did you want to study this population? What drew you to the Webb Foundation in the first place? When I started thinking about this project, I was struck by the diversity and vibrancy of the Muslim community—not just in Chicago itself, but also in the far western suburbs, where Muslim immigrants had settled in the 1960s and 1970s. They had come here either as students or as engineers or doctors, and they had built not only many of the important mosques, but also many other types of religious, social and cultural institutions. That’s what drew me to the suburbs in general. I chose to focus on the Webb Foundation in particular when I learned that its members were paying really deliberate attention to the idea of being American and being Muslim. That was very interesting to me because, post 9/11 and still very much today, the relationship between these two identities is an urgent political and social question. I was drawn to a community that was addressing that question head on, at a time when its members were under deep pressure to prove their loyalty as Americans and were very much a community under surveillance. I wanted to know what that effort looked like during Obama’s presidency; that was the political moment in which I did this work. Everyone begins a research project with certain questions and expectations. How did your project evolve during your four years in the field? Over the course of my research, I became more and more interested in the leisure activities of the Webb Foundation. I’m a religious studies scholar, so when I started the project, I was inclined to examine how the community discussed and interpreted passages in the Qur’an; a chapter of my book is devoted to that topic. But over time, I began to see that the Webb Foundation was one of the places where the families spent leisure time together, and that this was important to them as a means of cultivating the type of American Islam they wanted to achieve, especially for their kids. So that area became a much more expansive and important part of the book. There are so many other dimensions to it as well. Leisure activities provide an opportunity to redefine gender roles in the Muslim community. The Webb Foundation sponsors father-son football games and father-daughter camping trips. These activities show that Muslim fathers are deeply involved in their children’s lives— both their sons and daughters; that they are nurturing and caring; that they are very much invested in all these different aspects of their kids’ upbringing. The Webb parents also wanted to ensure that their children didn’t feel isolated, but rather part of a community. There were moments in my fieldwork, times when Islamophobia flared up, when this communal dimension became especially important. In 2010 and 2011, for example, anti-sharia bills were going through various state legislatures, and some prominent politicians in the western suburbs were making Islamophobic statements. While all this was happening, the Webb community provided a space where parents could find comfort in one another, spaces of reassurance, and make sure that their children felt safe and loved. Many Webb members grew up attending mosques and have retained some connection to those institutions. Nonetheless, they wanted to create an alternative space for themselves and their children. Why? First of all, many of the Webb members were educated in mosques representing particular ethnic or national origins—mosques that their immigrant parents may have helped found. The mosque was a space where their families could speak Urdu or Arabic and interact with others from their cultural communities. But like the children and grandchildren of immigrants in general, the Webb members are less likely to marry someone from their own ethnic or national background. You might have someone of Pakistani descent married to an African American, for example. This raises the question: Which mosque should they attend? Many of the families felt that they didn’t belong, for one reason or another, at a mosque. In addition, many Webb members remember finding it difficult to navigate two separate social worlds—the mosque and the larger American society—when they were growing up. Looking back, they wish that mosques had done more to be open to American culture. There was another factor that Webb members, both men and women, identified: They didn’t feel that women could take on leadership positions in their mosques. Mosques in the United States tend to be governed by a board of directors, and boards are often, though not always, made up primarily of men. The Webb members wanted a space where women could take ownership over what the activities looked like or what was taught in Sunday School. You write that Webb members embrace “universal” values such as tolerance, equality and religious pluralism. They see these values as core principles of an authentic Islam and seek to live in accordance with them. But in some areas of belief and practice, members disagree, and you show them wrestling with issues of identity. Why was this theme so important to you? In studies of religion, there is a tendency to think about religious institutions or communities as solving problems and creating a space of cohesion. And it’s true that the Webb Foundation provides a sense of community for its members. But it’s also a space of tension and ambivalence, and in the book I try to show that the project of constructing an American Islam continues to be very much contested at the Webb Foundation itself. What does it mean to be an American Muslim? That is a live question that the members haven’t reached consensus on. And the political pressures placed on American Muslims make their effort to answer that question a very fraught endeavor. 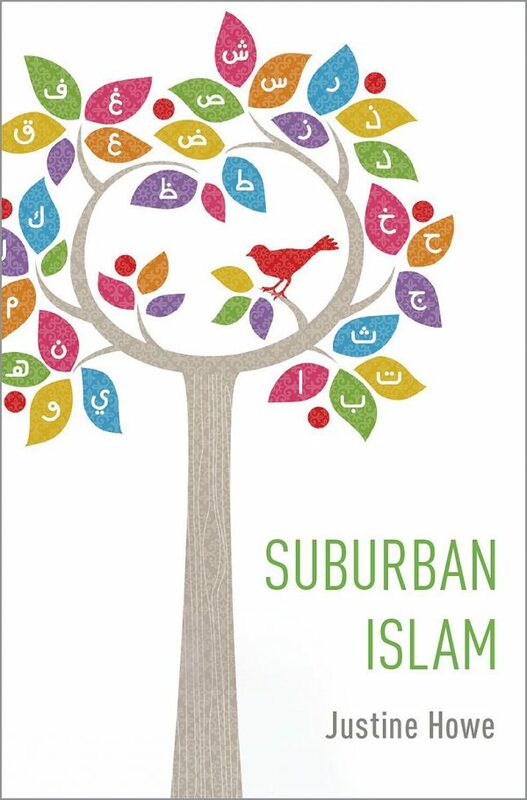 What did you hope to convey, above all, about the people you came to know through your research for Suburban Islam? I wanted to show that American Muslims, like the rest of us, lead complex and complicated lives. As an ethnographer, I’m interested in the messiness of everyday life: how things get negotiated even if they cannot be resolved, and the richness of experience in all of its contradictions. That’s why I am so committed in the book to giving the reader a sense of the conversations and debates and the fluidity of the Webb community. There’s no single Muslim perspective on X. I cannot tell you that Islam is this one thing. That’s the realm of Islamophobia: to say that “Islam hates us,” or that “Muslims are this.” The book shows that American Muslims have a variety of religious, political, familial and professional concerns that motivate their actions. They are part of, and subject to, American structures of politics, of race, of gender, of class. For me, showing the fullness of their humanity is the most promising way to combat Islamophobia.